On November 5th, Starlight Children’s Foundation Canada will be holding their annual fundraising event in BC, Sparkle 2016. Starlight Children’s Foundation Canada is a charitable organization dedicated to bringing laughter, joy and hope back into the lives of children with serious illnesses. For over 20 years, their in-hospital entertainment therapy and out-of-hospital fun family adventure programs have brought smiles to children when they need it most. This year’s event will feature local chefs partnered with very special Starlight children and teens to create a culinary spin on their favourite dishes. This is a new concept for the gala this year – bringing together local chefs with exquisite culinary talent and our Starlight kids’ personal taste for food. Each chef will be adding his own personal touch to the dishes chosen by our Starlight children. All guests at Sparkle will be able to have a taste of these creations and even meet the brilliant chefs creating them. 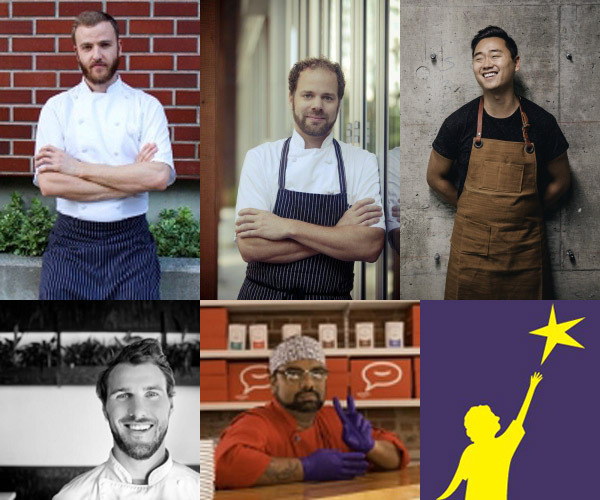 The Featured Chefs include Chef Josh Gale, Chef Tret Jordan, Chef Juno Kim, Chef Brian Skinner and Chef Rags. Other onsite activities include a Silent Auction and a Raffle. Guests will have the chance to bid on some fantastic silent auction prizes with all proceeds supporting Starlight’s local programs. This year’s raffle features a grand prize of two tickets to anywhere Air Canada flies in North America, including Hawaii, Mexico and Caribbean! There are only a limited number of raffle tickets available and they can only be purchased at Sparkle.